For 7 years from 2005 to 2012 Adrian Cooper published a free weekly Newsletter containing detailed knowledge on Spirituality, Metaphysics, Quantum Physics, Health, Well-being, Nutrition, Esoteric, World Affairs and much more. The Our Ultimate Reality Newsletter averaged 7 pages, some extending to over 20 pages, with over 3000 pages written over 7 years. The weekly Newsletters were read by people from almost every country, age, religion and life situation, and have transformed the lives of countless people as witnessed by thousands of messages received over the years. Also included for download are the eBooks written by Adrian Cooper, The Quantum Matrix and The Manifestation Key. Below you will find the equivalent of at least 12 good sized books, full of valuable, life-changing knowledge that can downloaded to your computer and referred to at will. These Newsletters Are A Gift To Humanity From Source when humanity needs it most. Please Download The 8 Volumes For Reference And Share With All Who May Benefit. The Writings In These Newsletters, In Whole Or In Part, May Be Be Used In Articles on Websites, Providing That The Source Of The Article Is Credited As: "Adrian Cooper and Our Ultimate Reality" With a Live Link To ourultimatereality.com And Subject In The Anchor Text. Our Ultimate Reality Newsletters, Volume 1, 2005. This is an eBook in PDF format of all weekly Our Ultimate Reality Newsletters published in 2005. Our Ultimate Reality Newsletters, Volume 2, 2006. This is an eBook in PDF format of all weekly Our Ultimate Reality Newsletters published in 2006. Our Ultimate Reality Newsletters, Volume 3, 2007. This is an eBook in PDF format of all weekly Our Ultimate Reality Newsletters published in 2007. Our Ultimate Reality Newsletters, Volume 4, 2008. This is an eBook in PDF format of all weekly Our Ultimate Reality Newsletters published in 2008. Our Ultimate Reality Newsletters Volume 4, 2008. Our Ultimate Reality Newsletters, Volume 5, 2009. 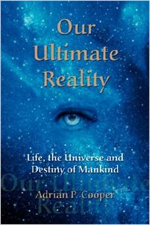 This is an eBook in PDF format of all weekly Our Ultimate Reality Newsletters published in 2009. Our Ultimate Reality Newsletters Volume 5, 2009. Our Ultimate Reality Newsletters, Volume 6, 2010. This is an eBook in PDF format of all weekly Our Ultimate Reality Newsletters published in 2010. Our Ultimate Reality Newsletters Volume 6, 2010. Our Ultimate Reality Newsletters, Volume 7, 2011. 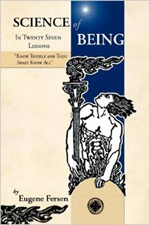 This is an eBook in PDF format of all weekly Our Ultimate Reality Newsletters published in 2011. Our Ultimate Reality Newsletters Volume 7, 2011. Our Ultimate Reality Newsletters, Volume 8, 2012. This is an eBook in PDF format of all weekly Our Ultimate Reality Newsletters published in 2012. Please note that this book is a first edition which will be further edited and updated soon. The Manifestation Key is a book written over 7 days in front of Facebook readers, at one full chapter each day. This eBook was written as the definitive "Law of Attraction" book on how to manifest any reality you wish in s straightforward way that anyone can achieve. in response to all the confusion, misinformation and misleading, often costly hype that exists, from other material. Here is an introduction describing why "The Secret movie and The Law of Attraction" as generally presented is an erroneous concept.